Nerf NOW!! by Josué Pereira published Feb. 29. — Read more of Nerf NOW!! 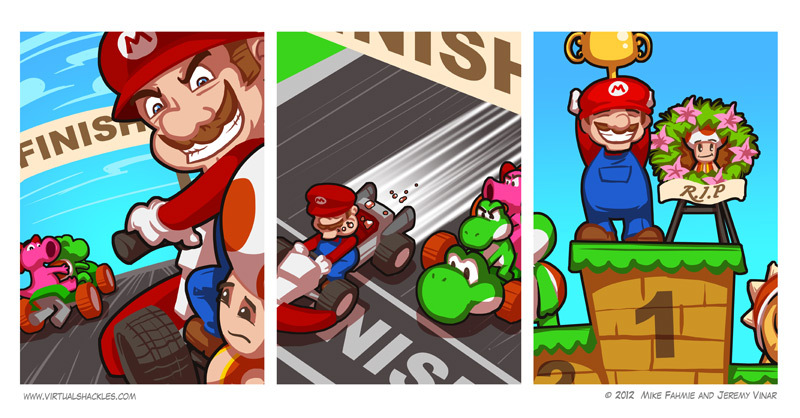 While I certainly feel for the guy getting an operation, isn't it still kinda poor to put that comic in amongst what is pretty much "kotakus mega sunday hilarious gaming related comic roundup!" It's just you. 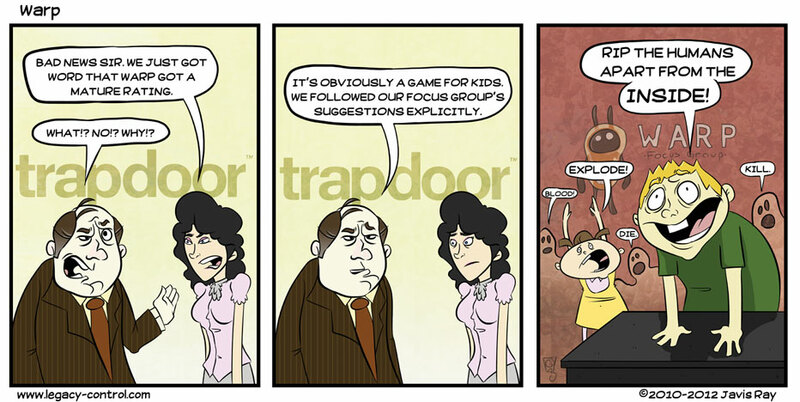 Penny Arcade is never funny to me, on the other hand this week's NerfNow and Virtual Shackles are great. 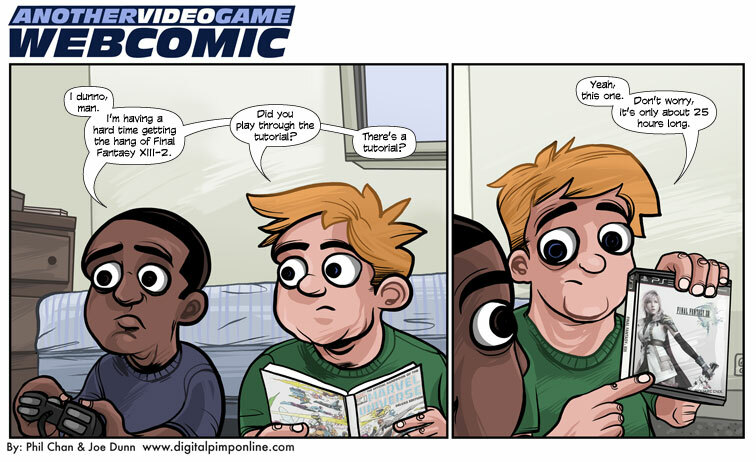 Penny Arcade just seems to hassle out gamers, and gamers are not funny. Those two you mentioned were amusing aswell. 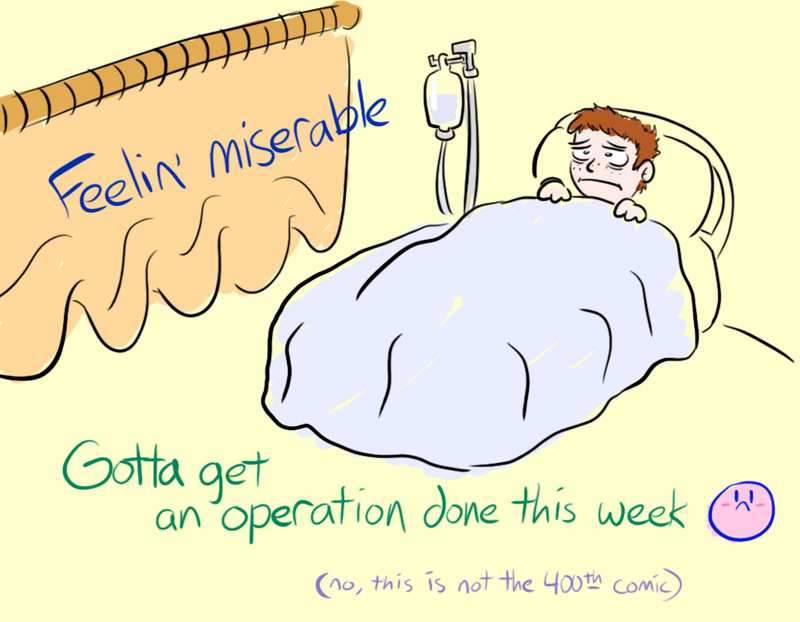 I was real keen on the 400th BITF since that is in my opinion the only real funny VG comic based on video game characters, but yeah, seems that he is sick. Hope he gets well. 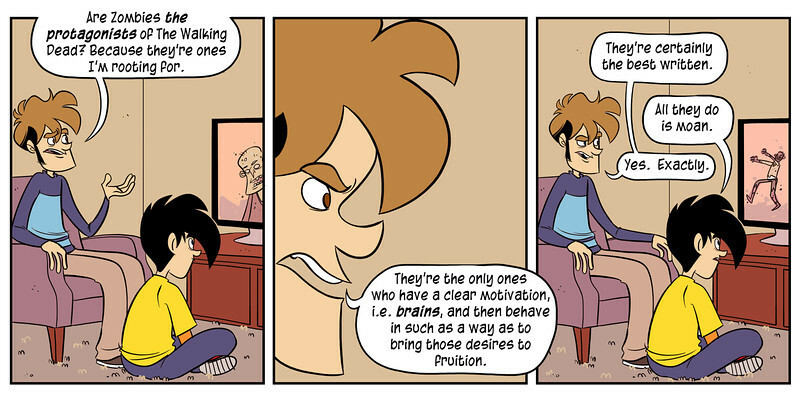 I still haven't found a Penny Arcade comic that I've laughed at. Smirked at a few, but nothing chuckleworthy. For me, at least. Can someone please explain the Megatron one? I don't get it. In an FPS, you don't see your character, all you see is the gun your character is holding, right? But Megatron can turn into a gun, so he think's the gun IS the character. I didn't get it either, so thanks. 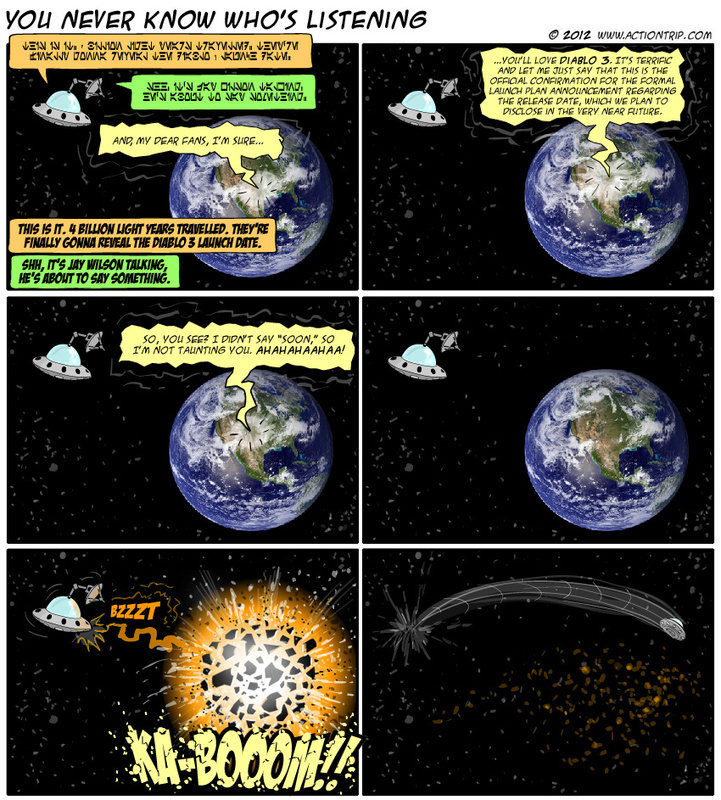 Now that it's explained, I can appreciate that's a pretty good joke. Kind of funny. A little too subtle, but I smirked when you explained it. 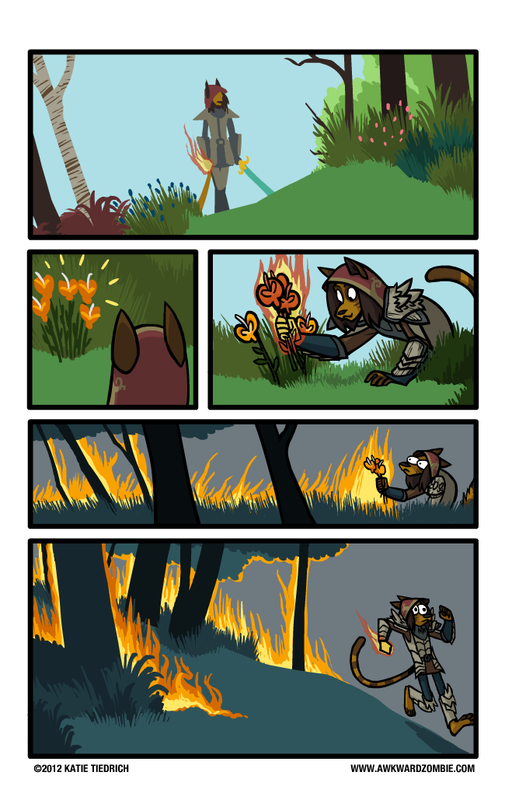 Love the NerfNow one, the Awkward Zombie one, the Another Game Webcomic one and the Diablo 3 one got a giggle.